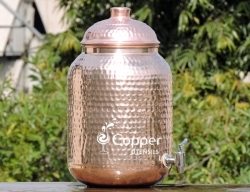 FREE One Copper Tumbler with this Dispenser. 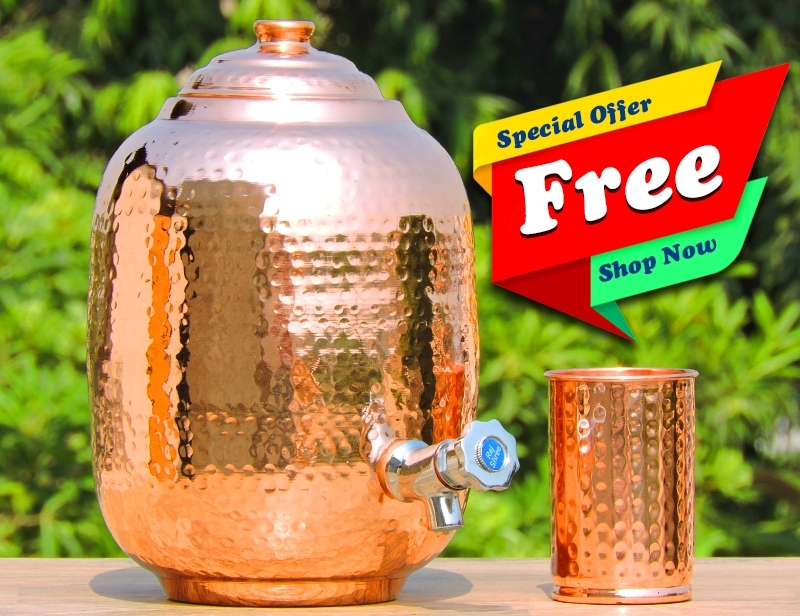 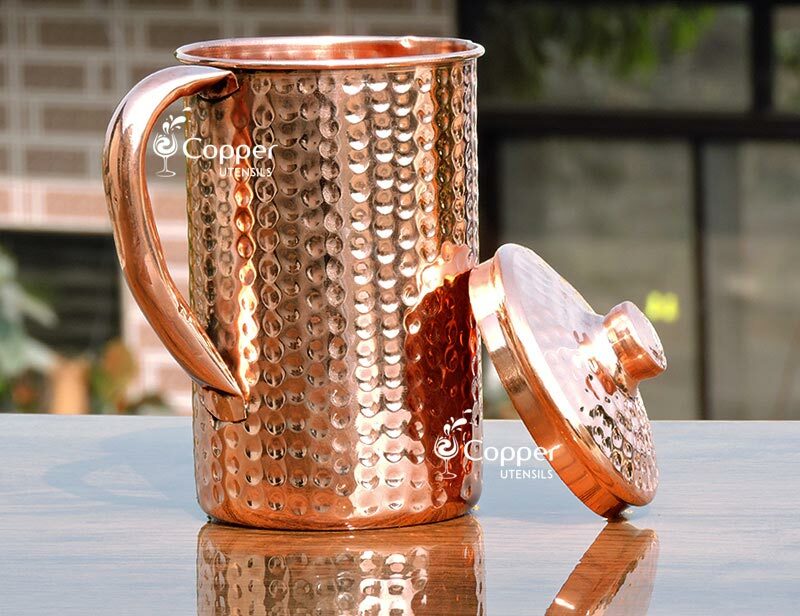 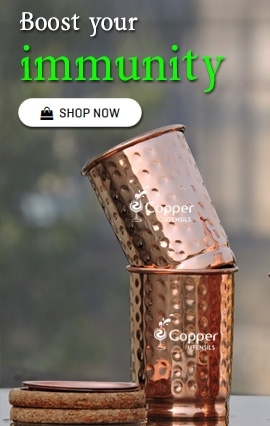 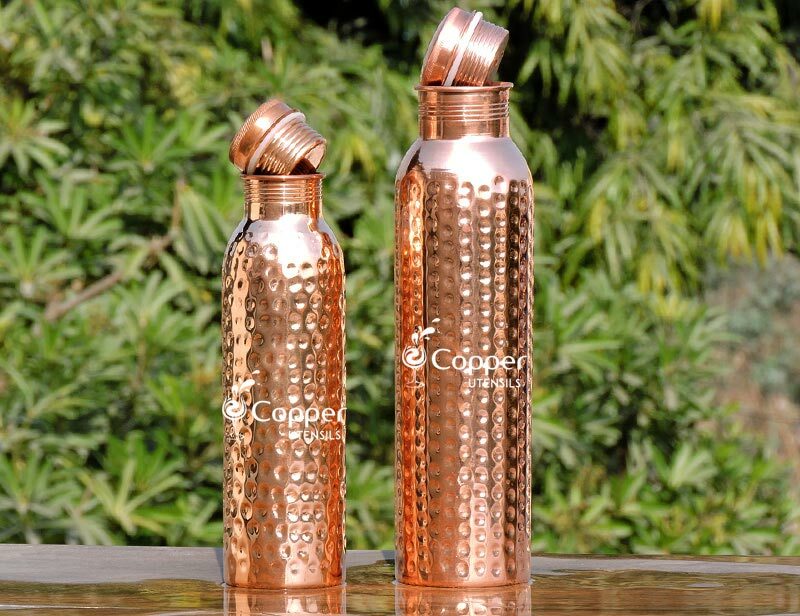 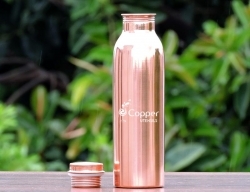 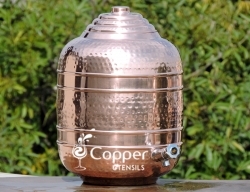 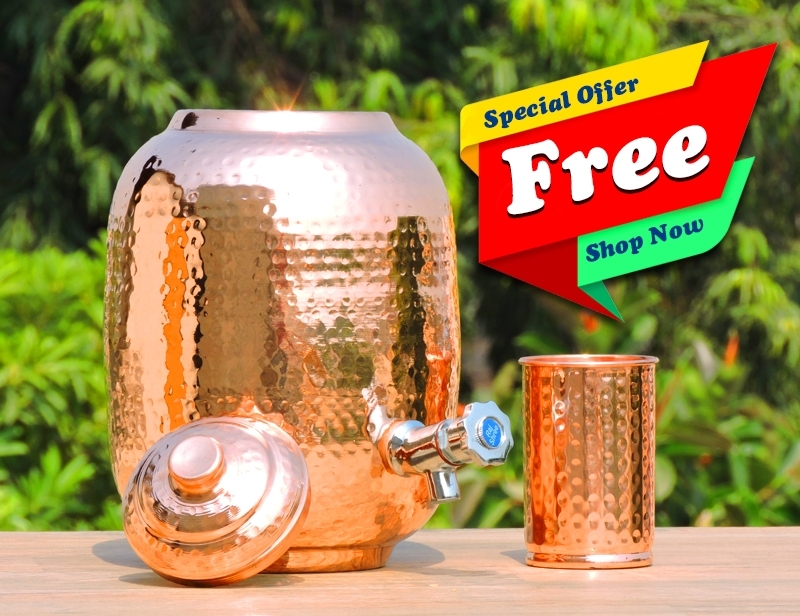 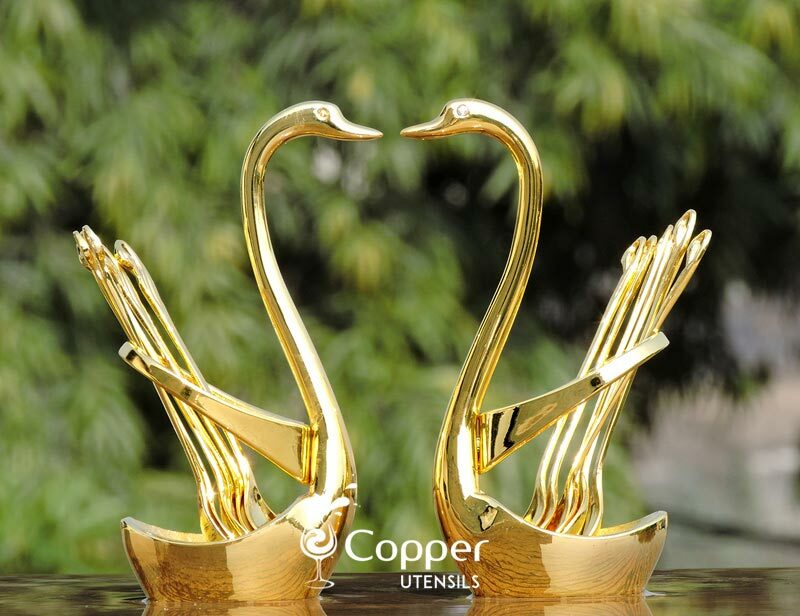 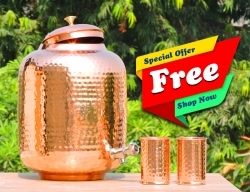 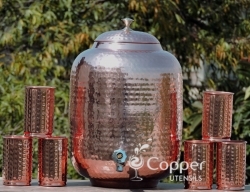 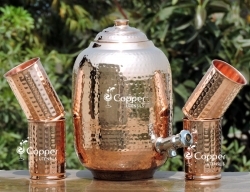 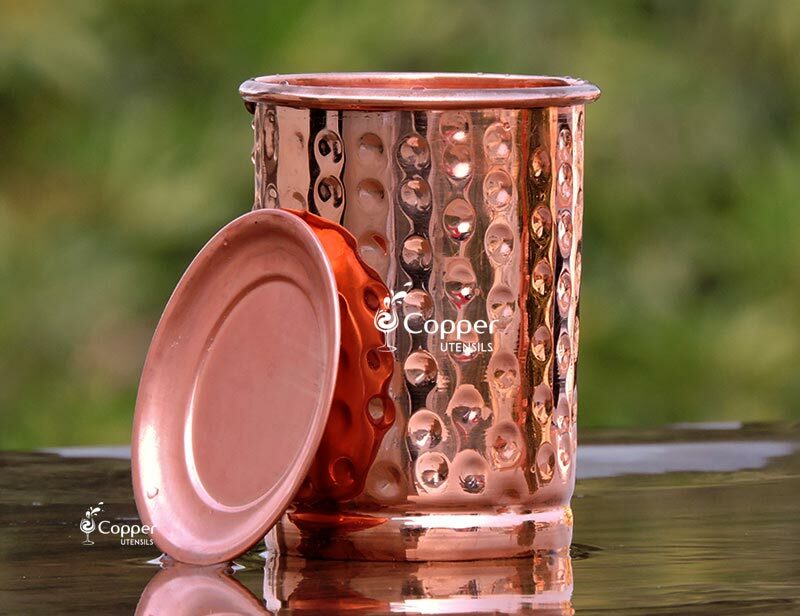 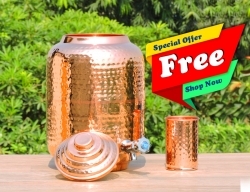 Our four and half liter pure copper water dispenser with tap is perfect for those who not just themselves prefer drinking copper water on a regular basis but are also desirous of sharing this amazing habit with others as well. 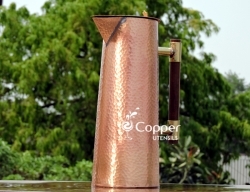 This copper dispenser can hold enough water to fulfill the daily requirement of your entire family. 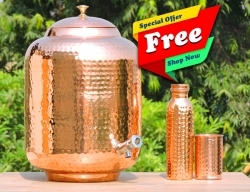 Just fill up the water dispenser with fresh drinking water every night before going to bed and the next morning you will have this healthy elixir ready to be consumed. 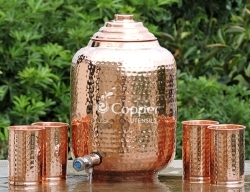 I received this as a wedding gift and absolutely LOVE it. 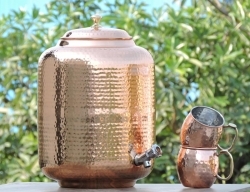 The pictures do not do it justice. 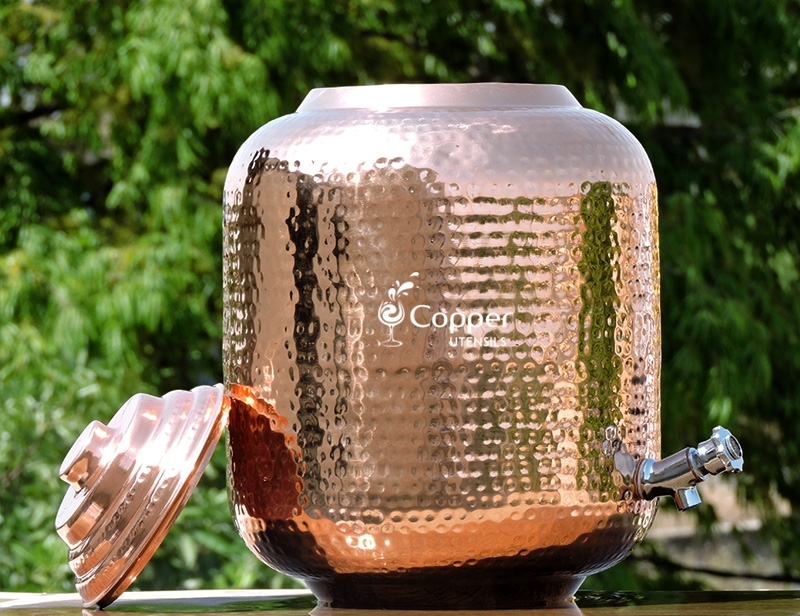 It is beautifully built and such a stunning piece.